University Policies attempts to answer the “what” and “why” questions in conducting University business. These Administrative Rules attempt to answer the “how” and “when” questions – providing additional information for implementing or further clarifying existing policy. They facilitate the practical application of University and State policies and rules set down by the IRS and other federal agencies, as well as sound business practices. Administrative Rules carry a level of import that requires considering them more than just good suggestions or advice. They are authoritative documents and are meant to be followed. Financial & Business Services also has an Index & Glossary which contains great insight into many of the same topics covered by policy. Other documents and forms are also available. 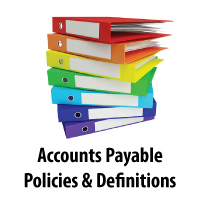 The table below contains combined links to many important Accounts Payable Topics. University policy and procedures provide guidelines for small dollar purchases. You are responsible for following these policies when you purchase supplies with the Limited Purchase Check (LPC), or Purchasing Card. The Purchasing Department maintains contracts with many suppliers for the kinds of merchandise you need. In addition to university contracts, the state has contracts that are available for your use. Using these contracts could mean substantial savings. Please view Purchasing’s web site for additional information or call the Purchasing Department to speak with the appropriate buyer for help with identifying these sources. A part of your purchasing responsibility includes compliance with the University’s policy governing Small, Minority, and Woman-owned Businesses (See UPol 3-100 IV.D.4). A complete listing of Utah Minority and Woman-owned companies is available from the Purchasing Department’s Small Business Liaison (581-8477) or from the Utah Department of Community and Economic Development’s web site. 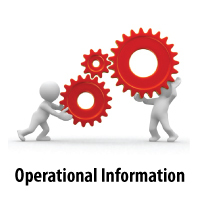 Contact the appropriate buyer in Purchasing for commodity-specific information.